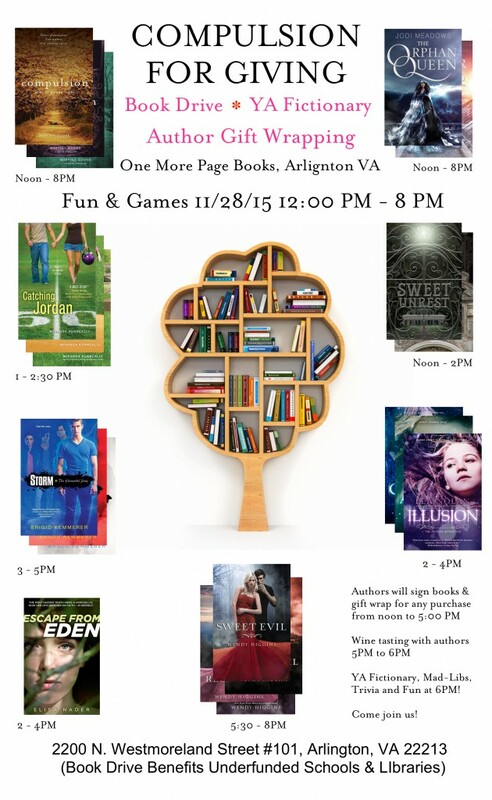 Join me and a bunch of wonderful authors for Small Business Saturday at One More Page Books in Arlington, VA. Have fun with us, get some of your holiday gifts gift wrapped by the authors, and help get books to underfunded schools and libraries! Oh, and play some fun YA fiction related games, including YA Fictionary (see why we write instead of drawing! : )), YA Mad Libs, YA Lit trivia and more!